A year ago this week, BlackBerry (then still Research in Motion) was presenting at BlackBerry World showing off their plans for the launch of BlackBerry 10. Now that it has been a year later and BlackBerry 10 is actually on store shelves, I thought that it would be interesting to see how the announcements at last year’s BlackBerry 10 have played out. Not only has the time shift camera been working wonderfully on all BlackBerry 10 phones since the launch of the Dev Alpha B, all of the critics who assume that Apple and others would copied the feature before BlackBerry 10 launched proved to be wrong. A year later this remains one of the highlight features of the new BlackBerry phones. This has been a well accepted feature, but due to the fact that BES 10 hasn’t yet been launched, it isn’t actually available to anyone yet. To be fair, BES 10 is widely expected to formally launch next week at BlackBerry Live, but it would have been nicer if this feature had been available on BlackBerry 10 from day one. During the keynote BlackBerry showed off a number of app demos including apps like Pacemaker, Galaxy on Fire, Citrix, Occipital. These apps have all since been released on BlackBerry 10. However, a year later this seems like a very odd list of apps for BlackBerry to have shown off. With the exception of the Pacemaker DJ app, none of the rest of these are exclusive to BlackBerry. Furthermore a quick visit to the websites for Galaxy on Fire and Occipital reveal that they have actually excluded the BlackBerry World store from their list of places to download their apps. For a few years now BlackBerry takes a moment in their keynotes to put forth the possibility of having their QNX platform running apps in cars. Despite re-announcing this idea every few months BlackBerry still appears to be no closer to offering an API or app store for cars, and as such it all seems a bit irrelevant. Expect the pattern to repeat again next week at BlackBerry Live. Last year at BlackBerry World Alec Saunders preformed a (modified) rendition of Tom Petty’s “The Waiting”. Unlike the next two music video, this one never made it to YouTube and most people still don’t know about it. A year later the joke has been played out, and Saunders’ has announced that the band is done with. BlackBerry World was also the start of the widely successful Dev Alpha program that gave developers actual hardware to test their apps on many months prior to the release of BlackBerry 10. This is a big part of the reason why BlackBerry 10 was able to launch with so many apps already available on day one. While (post-launch) the program is now wrapping up, BlackBerry recently offered Developers the DevAlpha C to test out apps prior to the launch of the Q10. As an add on to the Dev Alpha program, BlackBerry offered the option to turn in the developer units for actual hardware once BlackBerry 10 launched. Despite being well intentioned, this program has pretty much been a disaster. Developers were first told that instead of being able to get devices right away that they would have to wait 6-8 weeks instead. And now 14 weeks later many developers (including myself) are still waiting for BlackBerry to make good on their offer. The delay has gotten so bad that many developers would have been better off if BlackBerry had never promised anything to begin with. While at first glance this guarantee seemed as if it would benefit developers, once the program actually went into practice it seems unlikely that this offer has actually been made to more than 20 devs. Through a combination of terms and conditions, and tying the offer to the very broken Built for BlackBerry program, the number of developers to actually be helped by this guarantee is extremely minimal. Unfortunately despite the actual conditions, the stigma that BlackBerry has to pay out cash in order to get any developers still endures. 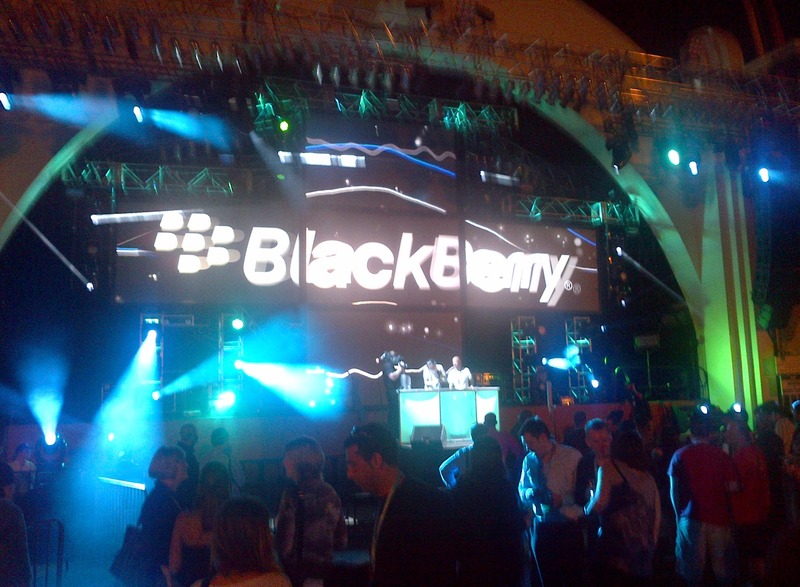 BlackBerry also used their event last year to offer a preview of the new flick typing that is possible on the BlackBerry 10 keyboard. Now that the keyboard has actually been released, it has received very positive reviews and is generally considered to be one of the better virtual keyboards available. At the time however, many noted that the keynote included no mention of a physical keyboard and felt as if a device like the Q10 would never be released. Of course that phone has now been released in almost every country (except for the one it was announced in).